PASADENA, Calif. -- NASA's Mars Reconnaissance Orbiter has observed a new category of minerals spread across large regions of Mars. 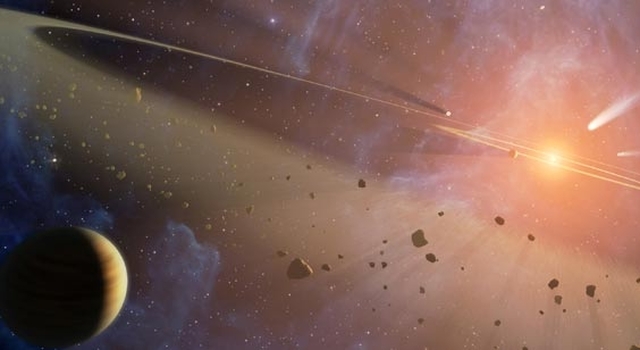 This discovery suggests that liquid water remained on the planet's surface a billion years later than scientists believed, and it played an important role in shaping the planet's surface and possibly hosting life. Researchers examining data from the orbiter's Compact Reconnaissance Imaging Spectrometer for Mars have found evidence of hydrated silica, commonly known as opal. The hydrated, or water-containing, mineral deposits are telltale signs of where and when water was present on ancient Mars. 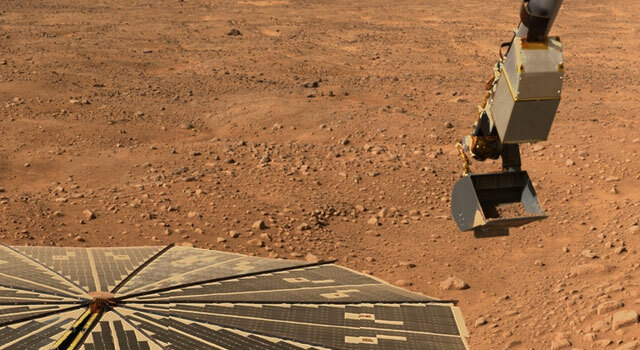 "This is an exciting discovery because it extends the time range for liquid water on Mars, and the places where it might have supported life," said Scott Murchie, the spectrometer's principal investigator at the Johns Hopkins University Applied Physics Laboratory in Laurel, Md. "The identification of opaline silica tells us that water may have existed as recently as 2 billion years ago." Until now, only two major groups of hydrated minerals, phyllosilicates and hydrated sulfates, had been observed by spacecraft orbiting Mars. Clay-like phyllosilicates formed more than 3.5 billion years ago where igneous rock came into long-term contact with water. During the next several hundred million years, until approximately 3 billion years ago, hydrated sulfates formed from the evaporation of salty and sometimes acidic water. The newly discovered opaline silicates are the youngest of the three types of hydrated minerals. They formed where liquid water altered materials created by volcanic activity or meteorite impact on the Martian surface. One such location noted by scientists is the large Martian canyon system called Valles Marineris. "We see numerous outcrops of opal-like minerals, commonly in thin layers extending for very long distances around the rim of Valles Marineris and sometimes within the canyon system itself," said Ralph Milliken of NASA's Jet Propulsion Laboratory in Pasadena, Calif.
Milliken is lead author of an article in the November issue of "Geology" that describes the identification of opaline silica. The study reveals that the minerals, which also were recently found in Gusev Crater by NASA's Mars rover Spirit, are widespread and occur in relatively young terrains. In some locations, the orbiter's spectrometer observed opaline silica with iron sulfate minerals, either in or around dry river channels. This indicates the acidic water remained on the Martian surface for an extended period of time. Milliken and his colleagues believe that in these areas, low-temperature acidic water was involved in forming the opal. In areas where there is no clear evidence that the water was acidic, deposits may have formed under a wide range of conditions. 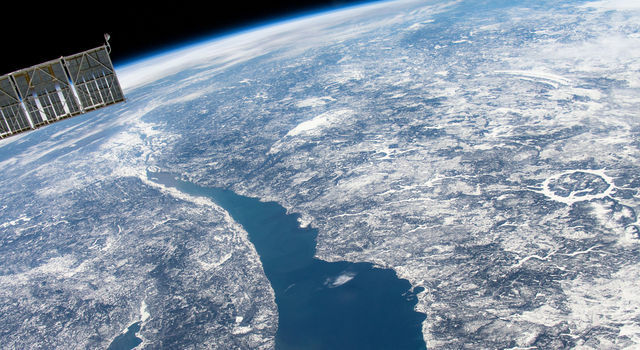 "What's important is that the longer liquid water existed on Mars, the longer the window during which Mars may have supported life," says Milliken. "The opaline silica deposits would be good places to explore to assess the potential for habitability on Mars, especially in these younger terrains." 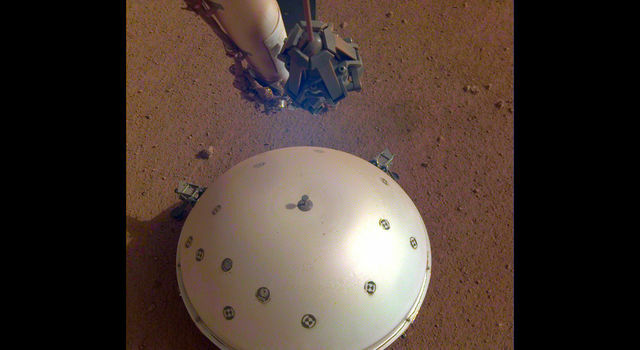 The spectrometer collects 544 colors, or wavelengths, of reflected sunlight to detect minerals on the surface of Mars. Its highest resolution is about 20 times sharper than any previous look at the planet in near-infrared wavelengths. 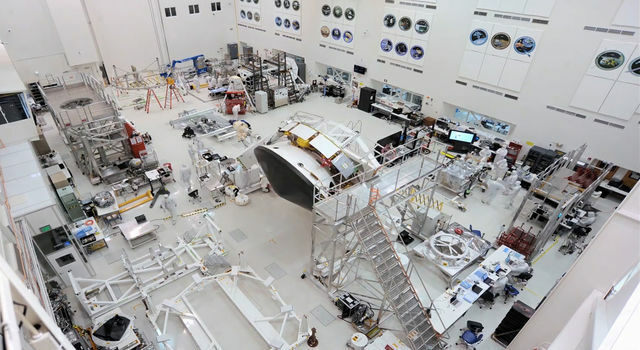 NASA's Jet Propulsion Laboratory manages the Mars Reconnaissance Orbiter mission for NASA's Science Mission Directorate in Washington. Lockheed Martin Space Systems, Denver, is the prime contractor for the project and built the spacecraft. The Applied Physics Laboratory led the effort to build the spectrometer and operates the instrument in coordination with an international team of researchers from universities, government and the private sector. More information about the Mars Reconnaissance Orbiter is at http://www.nasa.gov/mro .